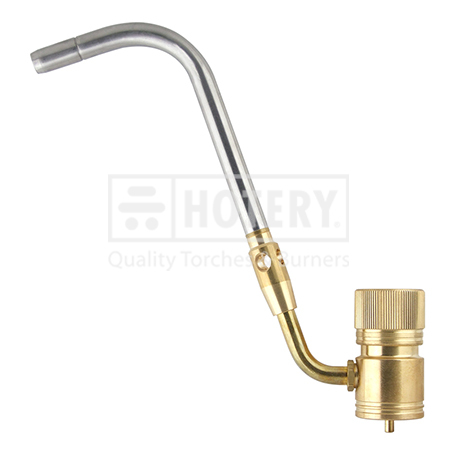 HOTERY PRODUCTS CORP. is the leading manufacturer, supplier and exporter of Best Brazing Torch in Taiwan. Manufactured using high quality raw materials our products highly reliable and durable and caters to a wide range of diverse customer's requirement. Designs and patterns that meet the latest trends prevailing. Our products are also known for their excellent quality, prompt service and reasonable price. 2. Suggest to work with CGA600 Map/Pro fuel (US 1" threaded). 4. Brass valve and stainless burner tube. 5. Good for operating in different angle. 6. Ideal for all jobs of heating, regrigeration, plumbing. 7. Other burner tubes optional. , establish good corporate image and pave your way to success. Waiting for your early reply. And we are kindly pleased to corporate with you.